DESITIN® Daily Defense Cream instantly forms a protective layer on your baby's skin to soothe and relieve rash discomfort, providing relief from the first use. This fragrance-free, hypoallergenic, dermatologist-tested creamy formula goes on smoothly and wipes off easily, making DESITIN® Daily Defense Cream your everyday partner in protecting against and treating diaper rash for relief your baby can feel. 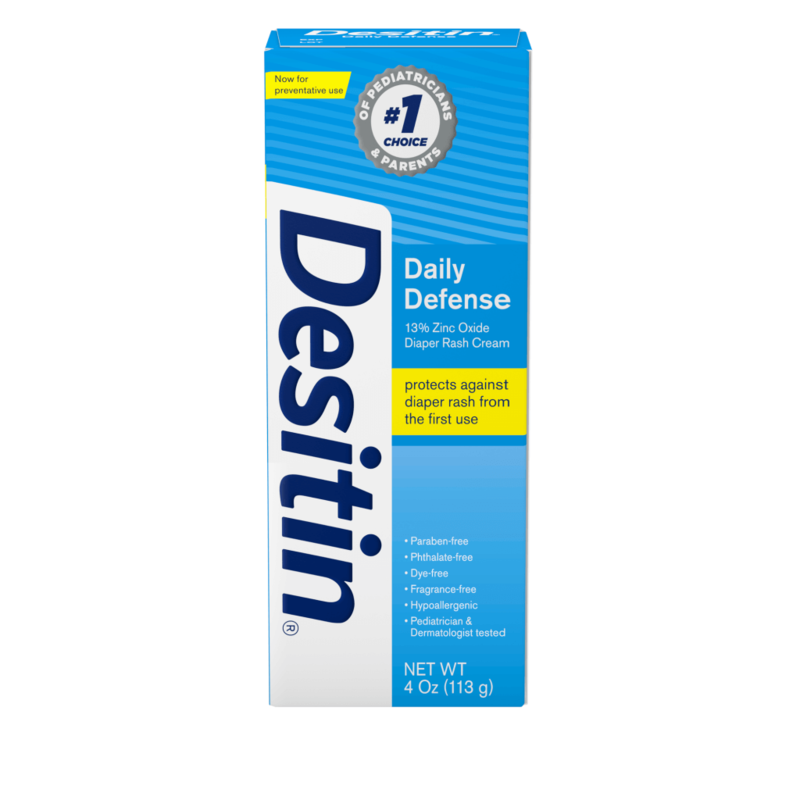 DESITIN® Daily Defense Cream helps provide overnight relief of diaper rash. In a clinical study, 90% of babies with diaper rash had noticeable relief within 12 hours of the use of DESITIN® Daily Defense Cream. 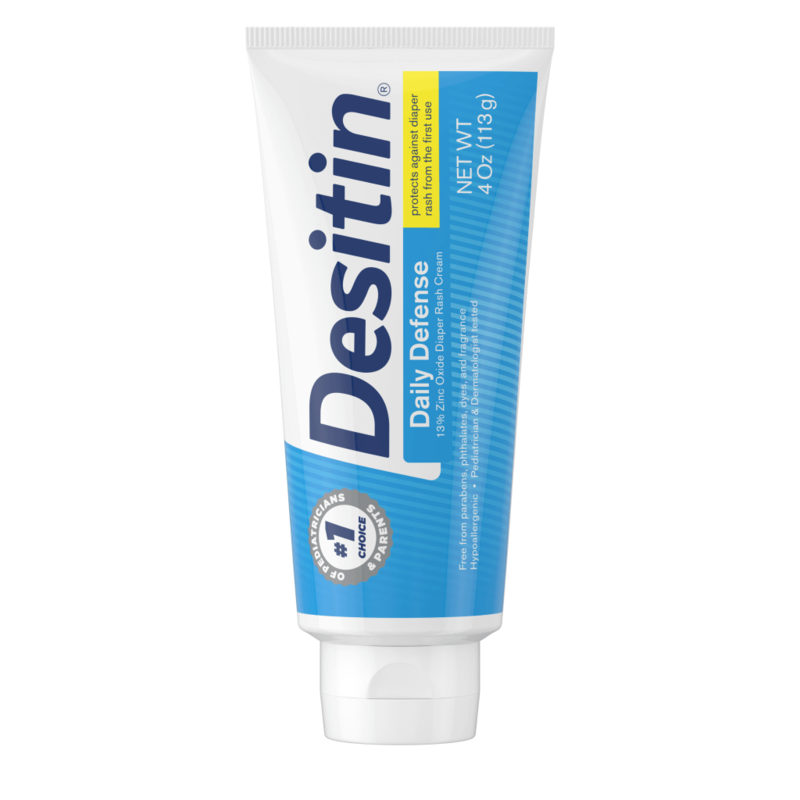 DESITIN® Daily Defense Cream is hypoallergenic and pediatrician tested. DESITIN® Daily Defense Cream is for external use only. When using DESITIN® Daily Defense Cream, do not get into eyes. Stop use and ask a doctor if: condition worsens, symptoms last for more than 7 days or clear up and occur again within a few days. 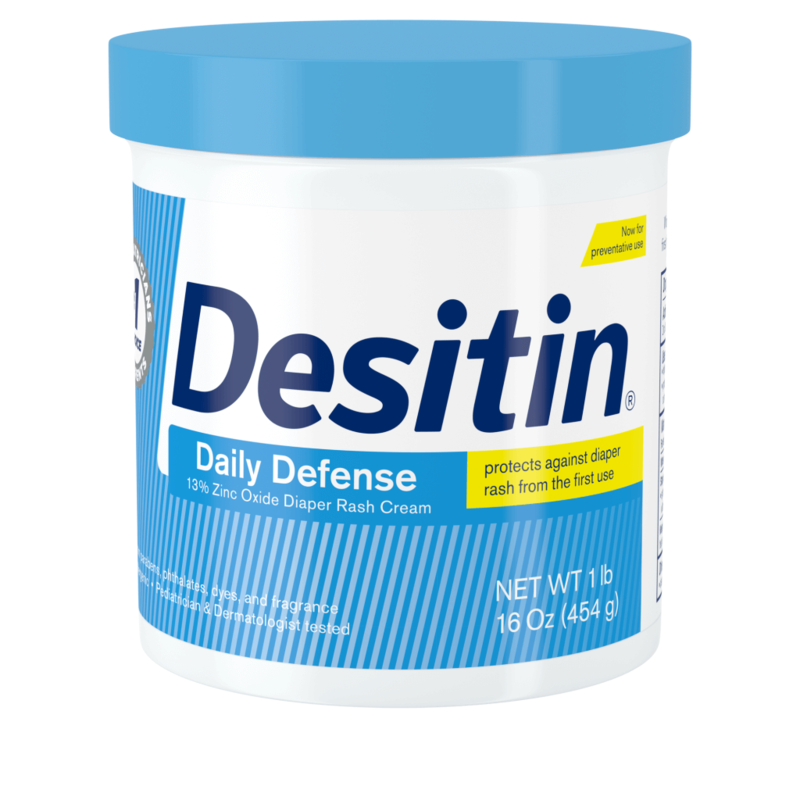 My great-grandmother, grandmother and my mother all used desitin and I now use it on my children. It has been a wonderful and trusted product through all four generations!! I received a sample of the rapid relief cream in a new mothers package from a local store. I had forgotten I had the sample until my 3 week old little girl had begun to experience diaper rash. I tried a slew of products before finding my sample. You could tell she felt instant relief when she stopped grimacing and wiggling uncomfortably. The tears stopped and I am eternally grateful. This cream worked better than the original Desitin and a few other popular brands. I was so impressed that in a matter of hours my newborn's chaffed skin was significantly less irritated. The other products work for a few days but this cream really came through for us. I have a happy baby now. Thank you for your review, Texas mom. We would like to speak with you to gather more information about your experience. Please call our consumer care center at 1-866-565-2229 between Mon-Fri 8AM-8PM EST. We look forward to hearing from you. Thank you! I use the maximum strength desitin and i LOVE it!! I use it every signle day every single diaper change! Since using it this way my daughter hasnt has diaper rash in almost a year!! This is BY FAR the best diaper cream ive tried!! People who give 1 star are obviously using this product wrong!!! This product is great. The diaper rash was gone in no time. My son has a diaper rash and when I applied it to the area it only made it worse. When I chaged his diaper it looked like it burned him. He was bawling when ever I would try to clean him. Save yourself the hassle and buy a different diaper rash cream. We're so sorry to hear this! We'd like to learn more about your little one's experience and see how we can help. Please give us a call at 1-866-565-2229 from 9AM - 5:30PM ET, Monday through Friday. Thank you! This cream does exactly what it says it will, can’t ask for anything more! My little girl has sensitive skin and this worked so well on her rash gone within a day and a half. So pleased with the product and well worth the value !